When you ask someone what their favorite ice cream is, they will normally respond with a flavor of ice cream. Whether this be Cookies-n-Cream or Butter Pecan, flavors are normally intertwined between the ice cream creators. But if you ask me what my favorite ice cream is, I will quickly respond with an answer – flavor & creator. Graeter’s Buckeye Blitz Ice Cream. Hands Down. No ifs and or buts. It Doesn’t Get Any Better than this one. There are no imitators when it comes to Buckeye Blitz Ice Cream – Graeter’s is the only one who can do this. Currently, my only chances to get Buckeye Blitz are when I am in Cincinnati at a Graeter’s location. But, I can now at least get somewhat of my Graeter’s fix here in Florida – via Pints of Graeter’s now sold at Publix and The Fresh Market. Ahhhh. Let’s just say that when I found out they were coming to Florida, I went out that night to try to get some. I am proud to say that I am now a Graeter’s Fanbassador and had already shared one pint of Graeter’s delicious ice cream with new fans prior to this next pint. For my second pint to try and share, I opted for Mint Chocolate Chip. Neither Publix nor The Fresh Market offer Buckeye Blitz but, I have been more than happy to try out their other flavors. 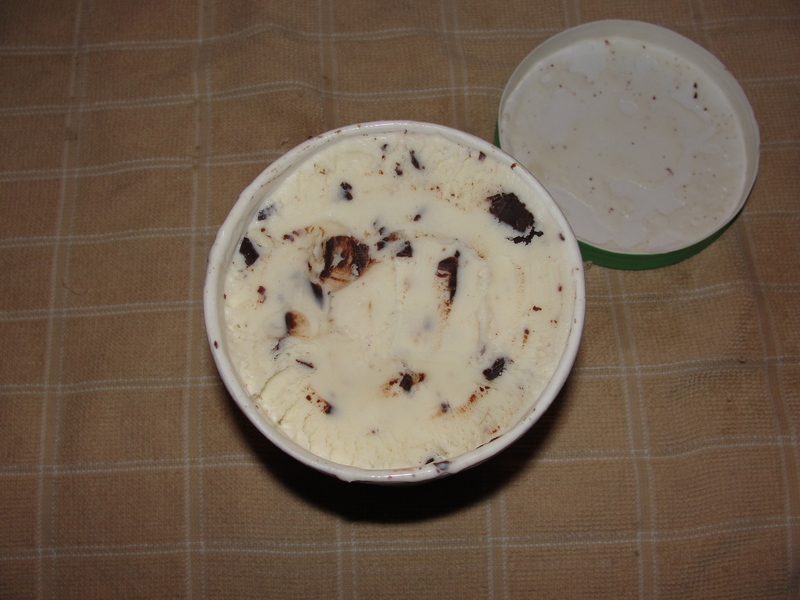 This week, it is Mint Chocolate Chip and wow, it is so great. Graeter’s originated from Cincinnati and differ themselves from others by still creating all of their ice cream in small batch French Pots. The result is the best ice cream you will ever eat. Ever. I opened up the Mint Chocolate Chip pint and found tons of chocolate pieces. The color of the ice cream is vanilla rather than the usual neon-food-dye-infused green color. I scooped out a few spoonfuls and prepared my palate for a great ride. As a Graeter’s lover, I have been fortunate enough to have Graeter’s so many times that I almost take the high quality ice cream for granted. For those of you who have never tried Graeter’s, I will do my best to relay this to you but, until you try it, you will never truly be able to grasp just how amazing it really is. Every single bite of the Mint Chocolate Chip had the same creaminess and texture. You can taste that this ice cream is made slow and in small batches. The ice cream is so thick, creamy and melt in your mouth perfect. You can let the ice cream melt in your mouth and experience the flavor profiles from start to finish. There are never bites of ice or freezer burn from the product being made poorly and sitting on shelves for a while. None of that is in Graeter’s. It sounds silly to say that you can tell it is made in small batches but, I feel as if you truly can. I have never eaten another ice cream before that I can honestly say this. 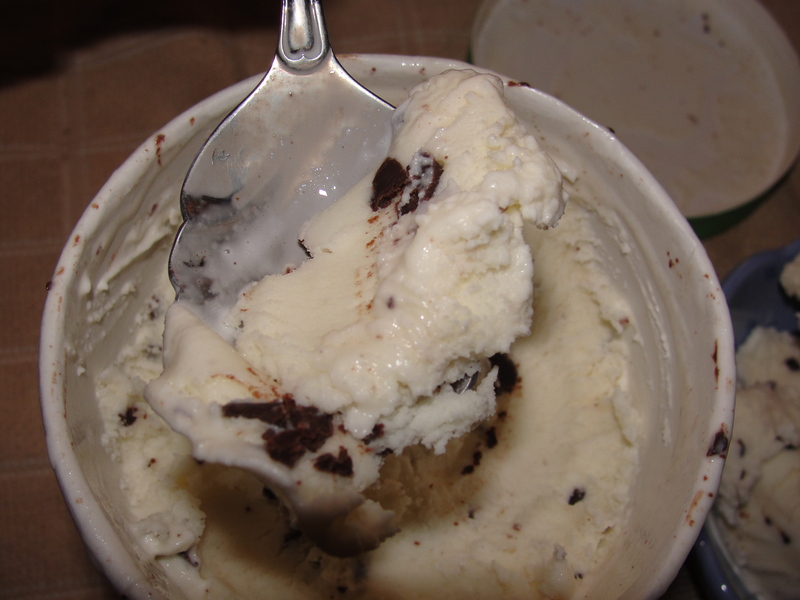 The other stand out component with the Mint Chocolate Chip (and all Graeter’s ice cream for that matter), is the chocolate pieces. Ohh boy. Where do I even start? The chocolate pieces are in all different sizes and there are more than plenty of them in the ice cream. Each piece is some of the best quality chocolate you will have and easily the best chocolate used in any ice cream. Every single piece of chocolate is perfectly creamy, rich in flavor and of high quality. You can let the chocolate melt in your mouth and experience all of the flavor profiles of each and every piece. Ohh jeez…this is just some good chocolate. When you put together fabulous chocolate, perfectly creamy ice cream and create it in small French Pot Batches, you get Graeter’s Ice Cream which is simply the best. The Mint Chocolate Chip ice cream is no exception. Every bite has the minty ice cream which is just minty enough to leave you feeling refreshed with no strange aftertastes. Once this is paired with the rich chocolate chips, the final product is refreshing, creamy and simply perfect. I feel so fortunate that Graeter’s now sells their pints of ice cream here in Naples. The product from the pint is amazing just as it is in one of their store locations. If only they would ship down some Buckeye Blitz, I would be in true ice cream heaven. 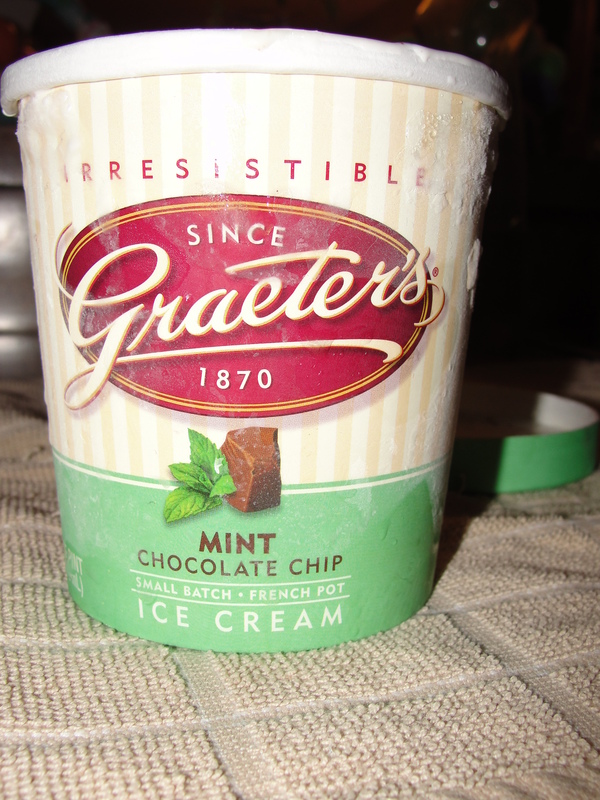 I am so glad that I tried the Mint Chocolate Chip ice cream and was able to share it with some friends who have never had Graeter’s before. If you have never tried Graeter’s, do whatever you can to get some and try it. Plain and simple – It Doesn’t Get Any Better. I’m new to Cincinnati and I heard about Graeter’s from my colleague. I will definitely try this soon. I totally have to agree with you on Graeters having the best icecream. Ive worked at the West Chester location for a little under 4 years. The many different size pieces are actually from us pouring in melted Peters Chocolate in the final stages of the icecream process. They come in many different sizes because we use a paddle to get the icecream from the French pot. Graeters also pride’s themselves on using only the finest ingredients like Madigascar vanilla and Oregon black raspberrys. The best ingredients for the best ice cream. Also the process of the French pot only adds 4% air which makes for a denser ice cream that’s why our pints almost weight a whole pound. But my absolute favorite flavor is our plain chocolate. Its so creamy and smooth that its heaven in each bite. And its that extra effort and commitment that so pays off.